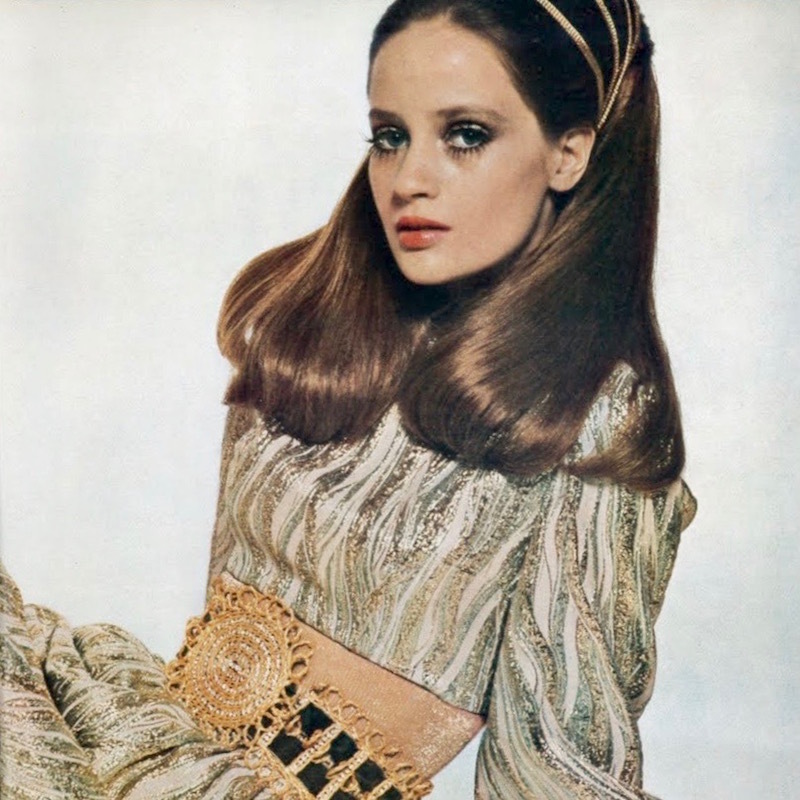 Celia Hammond in British Vogue, October 1968. Photo: David Bailey. A late ’60s loungewear pattern is the star of “Making Up a Legend,” photographed for British Vogue by David Bailey. 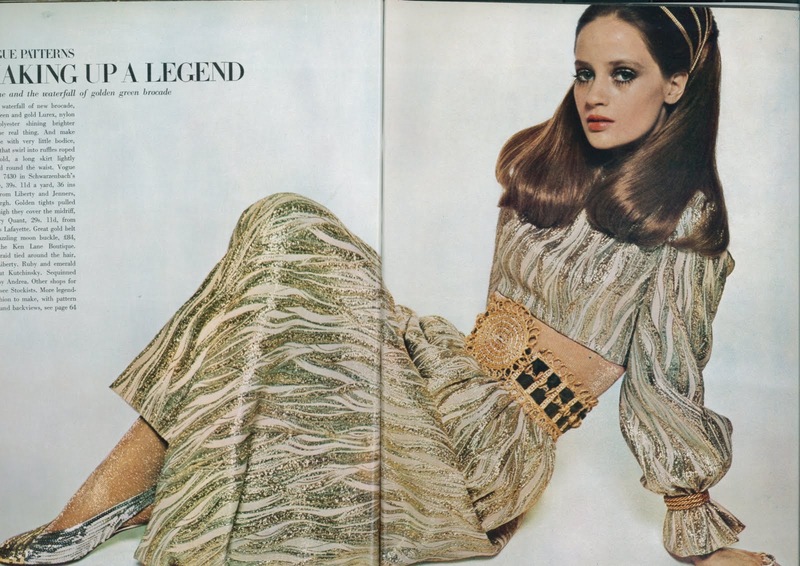 Celia Hammond wears Vogue 7430, made up in wave-patterned Schwarzenbach brocade in green and gold Lurex, with gold Mary Quant tights pulled up to cover the bare midriff. The gold belt is by the late, great Kenneth Jay Lane. Vogue 7430 in British Vogue, October 1968. Photo: David Bailey. Model: Celia Hammond. Image: Youthquakers. Vogue 7430 (1968) Image: Vintage Pattern Wiki. And the Winner Is… + Poll Results!